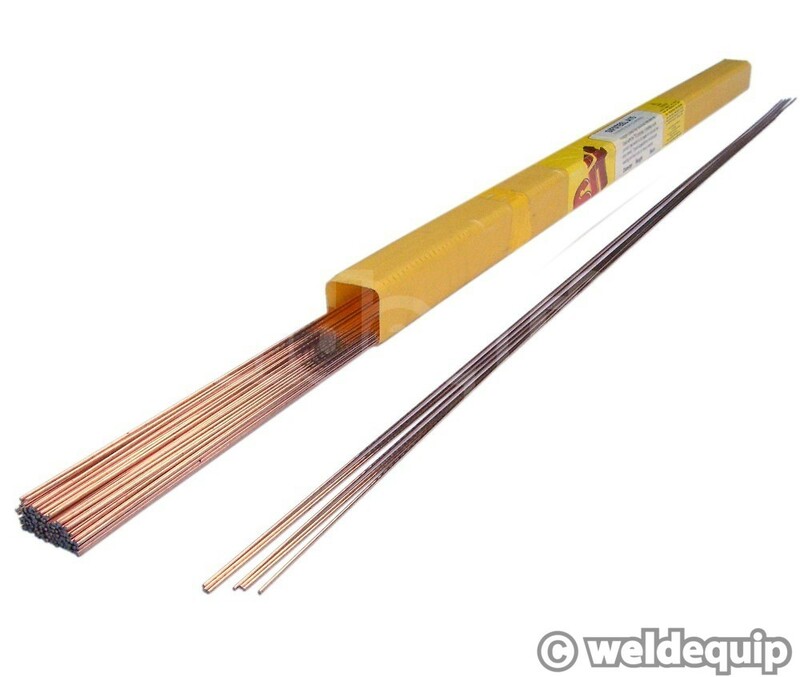 Sifsilcopper No.968 has a much lower melting point than standard A15 mild steel TIG wire and requires only around half the welding current, so is ideal for applications where distortion can be a problem. The speed of operation is also nearly twice as fast as welding, so joining times can be halved and post weld treatment minimised. Typically used on galvanized steel in the heating & ventilation industry, tubular product fabrication and marine/offshore industries because of it’s corrosion resistance. Also popularly used for TIG brazing cast iron, brass & bronze. Can also be used with Oxy/Acetylene for fusion welding of copper alloys (use SIF Sil copper flux powder). Material data sheet supplied with each pack.